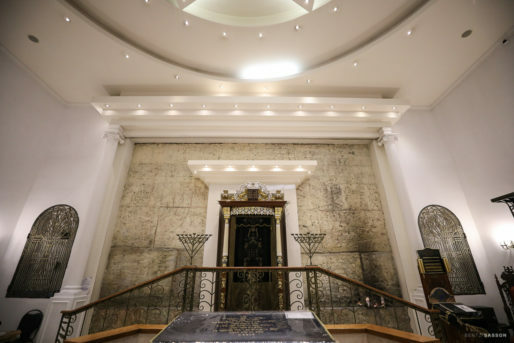 The Bolshaya Bronnaya Synagogue in Moscow was opened in 1883. 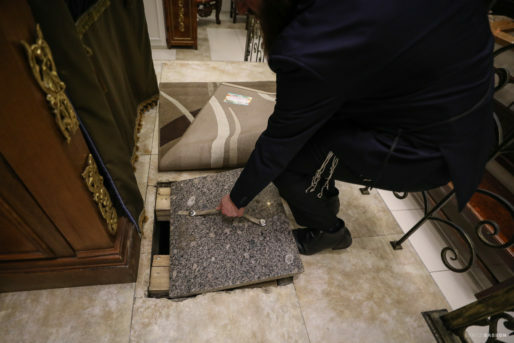 It was a private synagogue founded by a successful businessman, millionaire Lazar Solomonovich Polyakov who was the head of the Jewish community in Moscow. 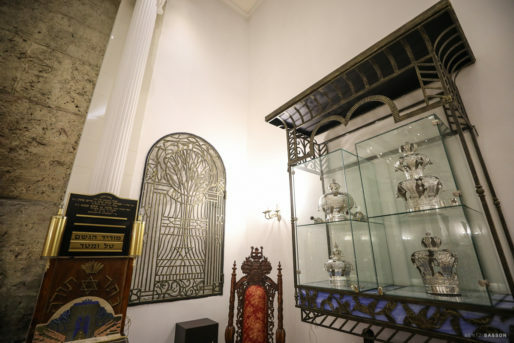 The synagogue was initially an ordinary Moscow house. 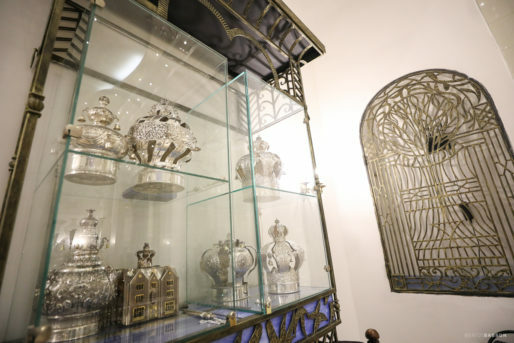 It was bought by Polakov and reconstructed by the architect Chichagov in beautiful Moresque style. 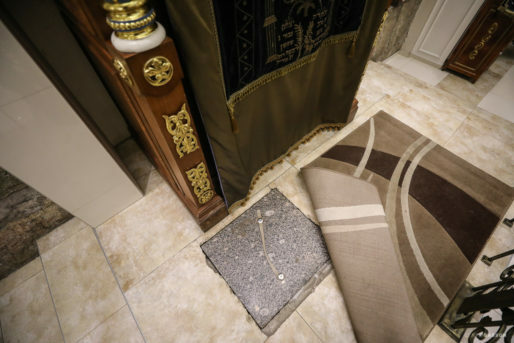 Under the carpet in front of the Aron Kodesh, is a secret trapdoor leading to an underground tunnel. 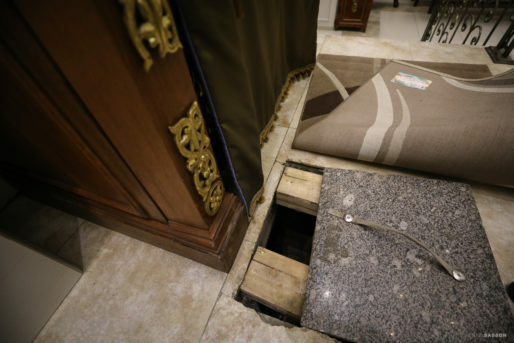 The tunnel, which led to an adjacent property, was built at the turn of the 20th century to serve as an escape route from the Synagogue in case of pogroms. 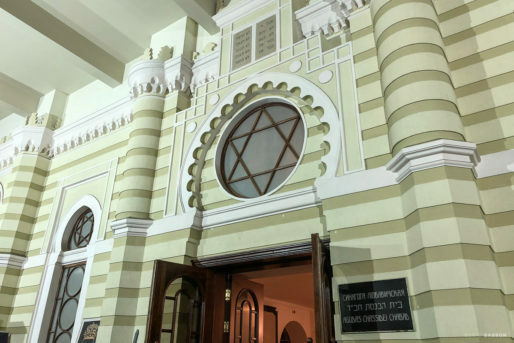 The pre-war rabbi was executed by the Soviet government in 1937 and the building was converted into a trade union meeting hall. 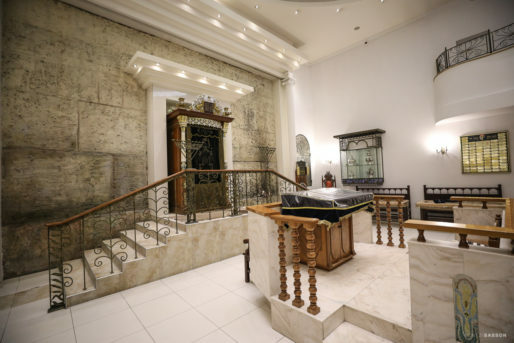 In 1991, the building was transferred to Chabad Lubavitch and in 2004, a renovation was completed. 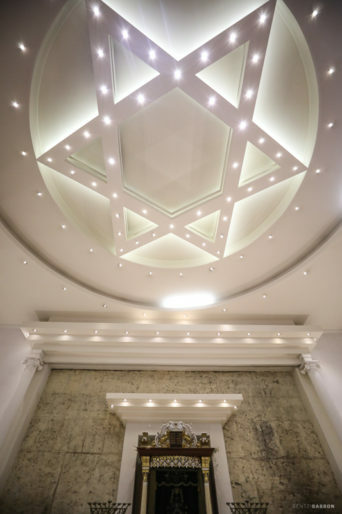 The building includes classrooms, a bookstore, a lecture hall, mikvah and kosher restaurant. 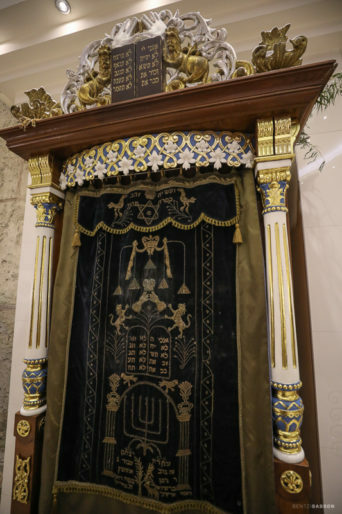 Since 1991, the Rabbi has been Yitzchok Kogan.